MOSCOW, September 10. /TASS/. Pyotr Poroshenko’s statement it is impossible to organize in Ukraine voting at the upcoming elections to the State Duma, means only staff of Russian diplomatic missions would be able to vote, a representative of the Russian Central Elections Commission Vasily Likhachev told TASS on Saturday. "The official position of the kind hinders greatly organization of public elections, where people could come to the Russian embassy in Kiev or to the three consulates in Kharkov, Odessa or Lvov," he said. "In this situation, we only have the right to organize elections inside those Russian representations abroad for exclusively the diplomatic and administrative staff." Likhachev also told that some 80,000 Russian citizens, who are now in Ukraine, would be unable to participate in the elections to the State Duma. "Back in 2011, there were about 100,000, and now about 80 thousand," he said in reply to a question - how many Russian voters are in Ukraine now. The official continued saying the Russian legislation does not allow remote voting, for example by mail or on the Internet. "Precedents of the kind exist, including in the European electoral practice, but we have not approached those forms as yet," he said. "You see, now the circumstances push us to considering other variants besides direct voting at polling stations." The official, who supervises at the Central Elections Commission issues of international cooperation, said Russia organizes voting for its citizens abroad only if permitted by every country. At the same time, Russian embassies and consular sections, according to the international law, are territories of the Russian Federation. "There, nobody may hinder organization of voting," he said. From the political point of view, Ukraine’s position is an unfriendly act towards Russia and "continues the policies of limitations, discrimination and unfair approaches." "This is not the way to restore relations between countries," he said. Earlier on Saturday, Ukraine’s President Pyotr Poroshenko ordered to notify Russia it is impossible to organize the Russian parliamentary elections in Ukraine on September 18, the president’s press secretary Svyatoslav Tsegolko said. "The president has ordered the foreign minister to notify Moscow it is impossible to have Russian elections in the Ukrainian territory," he twitted. 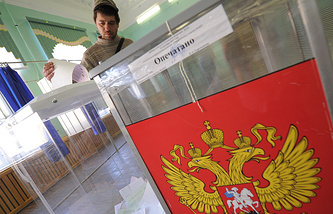 Russian national living in 145 world countries will be able to take part in the parliamentary elections in September, Nikolai Levichev, a member of the Russian Central Elections Commission (CEC) told TASS earlier. The Russian Foreign Ministry said - as of July 1, Russian voters abroad make 1,872,390 people, including 1,664,573 residing abroad. Besides, 14,000 voters live in Baikonur (space launch area). Elections to the 450-seat Russian State Duma will be held on September 18 under a mixed system: 225 lawmakers will be elected in one-seat constituencies and another 225 will be elected by party tickets. In addition to the State Duma elections, 39 regions will elect their legislative assemblies, while seven constituent regions will hold direct elections of their top officials. 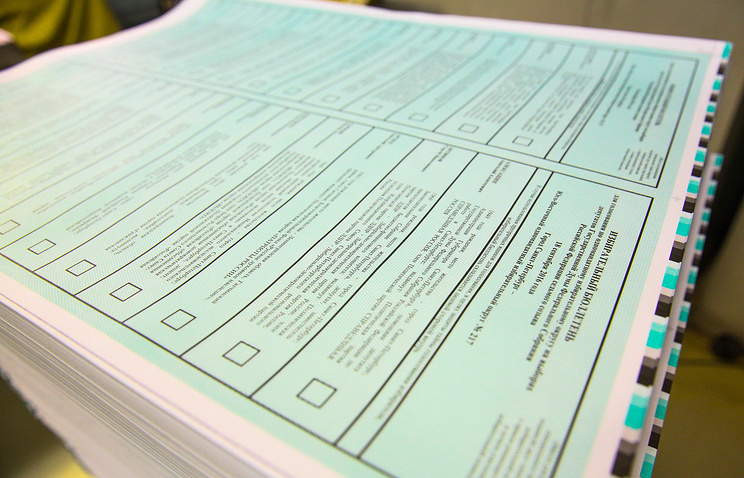 Concurrently, municipal elections will be held in about 5,000 constituencies.